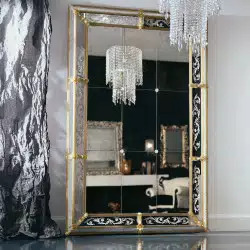 Full length Original Venetian mirror decorated in gold and clear glass frame accents with hints of hand engraved details on authentic Murano glass. 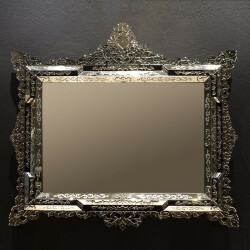 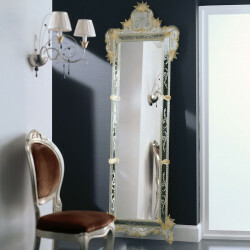 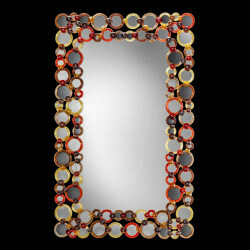 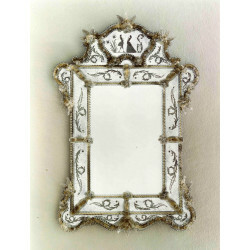 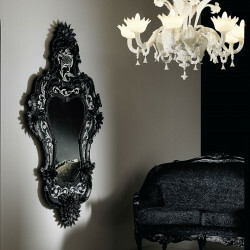 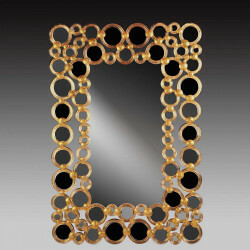 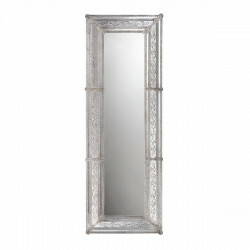 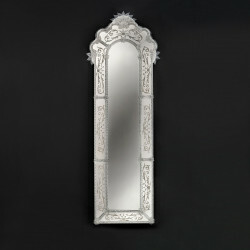 Feel luxurious upon gazing on this genuine Venetian mirror with stunning accents of gold along the frame. The design is subtle yet with complexity with its lovely gold and clear glass details creating texture and character to the authentic Murano glass. 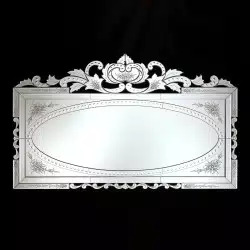 Hand engraved details on the glass finishes up the look. 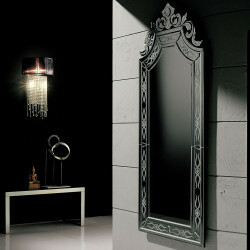 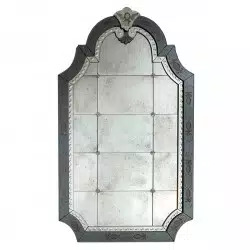 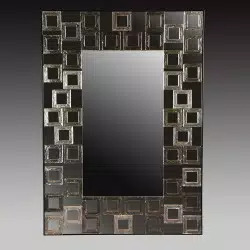 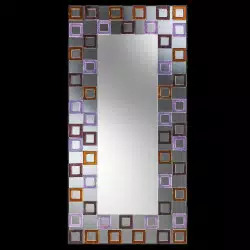 This is a fantastic vanity mirror by the bed room or your dressing area.